New car buyers hoping to get a cut-price plug-in hybrid are facing disappointment, after the Department for Transport (DfT) brought forward its end date for the Government grant of up to £2500. The Government had initially said it would launch the qualifying criteria for electric car grants on 9 November; however, a spokesperson for the (DfT) told HonestJohn.co.uk that “following exceptional demand" for new vehicles the rules had been updated with "immediate effect". That means - from 22 October 2018 - only plug-in cars that can cover 70 miles on electricity and emit less than 50g/km of CO2 will qualify for the Government-funded grant. Pure electric cars also get less public money, with the grant being cut from £4500 to £3500. “The plug-in car grant has been a runaway success, helping bring more than 160,000 ultra-low emission vehicles to our roads over the last seven years, and delivering significant CO2 savings compared to petrol or diesel cars," said a DfT spokesperson. “Following exceptional demand, the sales cap for all vehicles eligible for the grant has been reached, and the new grant rates are now in effect. These changes will allow us to focus support on zero-emission vehicles, such as pure electric and hydrogen fuel cell cars. Over the past few days the Government has faced mounting criticism from the automotive industry for the changes to the plug-in grant, with Mitsubishi saying it was "completely at odds" with the objective of making the UK a world leader in green mobility. The RAC labelled the move as “a big step backwards” and a major blow to anyone hoping to go green with their next car choice. 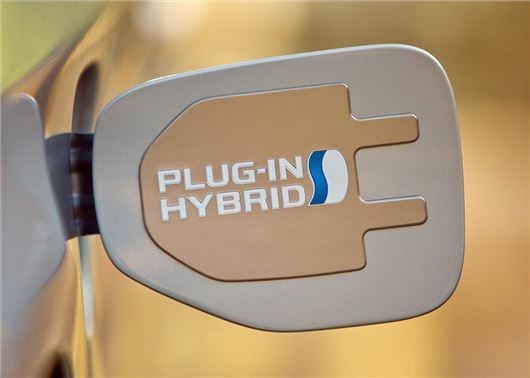 Doubts over the future the plug-in car grant were first raised by HonestJohn.co.uk in May 2018, when a freedom of information request on the scheme’s funding and future was rejected by the DfT. As a taxpayer who cannot afford a new electric vehicle why should i subsidise those who can afford one?